#86. 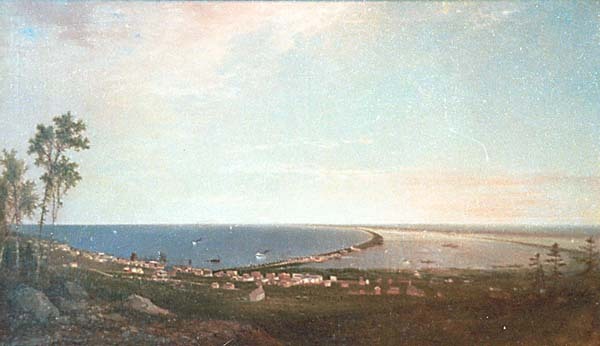 Duluth 1872. 34 x 60, oil on canvas, restored in 1982. "Gilbert Munger" lower left; reported in a 1911 newspaper article as having "Gilbert Munger" inscribed reverse, but the back is currently covered. 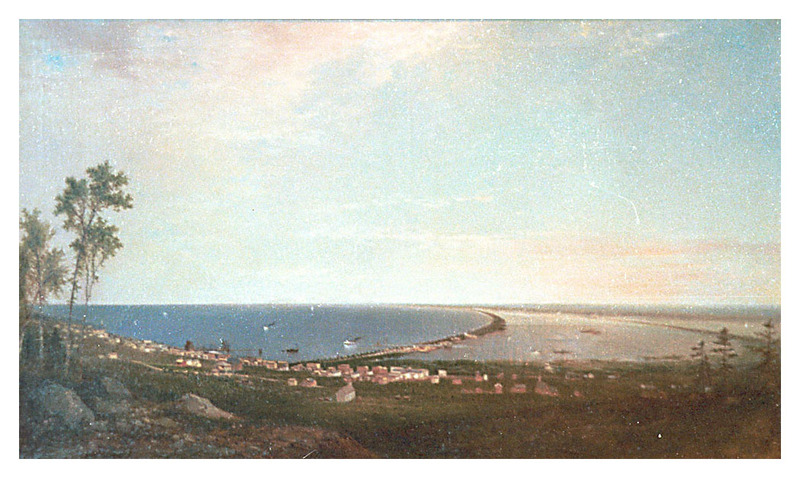 This version of Munger's view of Duluth was painted to promote the proposed Lake Superior & Mississippi Railroad. It hung in the Wormley Hotel in Washington D.C. until that building was torn down. It was bought by Duluthian Z.T. Mullin in 1911 from Washington D.C. art dealer C. H. Syme and given to Mullin's son Henry J., who offered it unsuccessfully to the City in 1929 while it hung at the Kitchi Gami Club, where it still hangs. A plate on the frame states: "Duluth 1872 -- Loaned by Henry Mullin". #19 is another version of this scene. Image from author's photo.